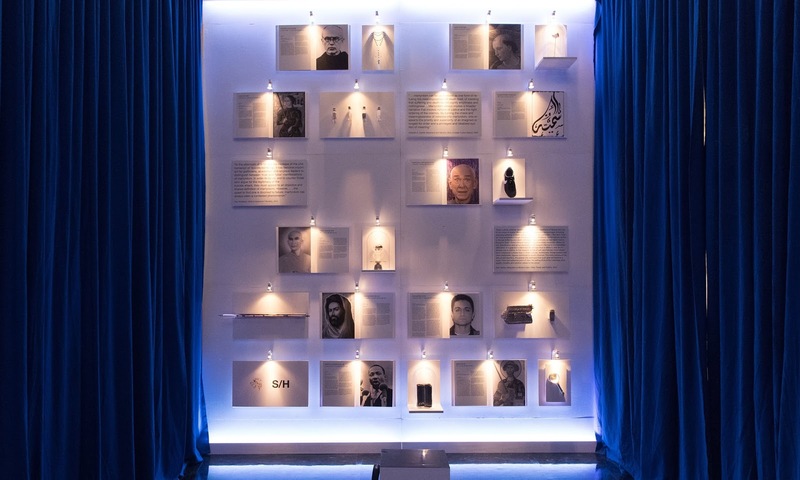 Tarek Chemaly: The Other Eye of The Tiger installation is right about who martyrs are. The Other Eye of The Tiger installation is right about who martyrs are. An installation took place between May 26 – March 10 at Copenhagen’s Meatpacking District by he artist collective The Other Eye of The Tiger which is being lead by Ida Grarup Nielsen. The installation - or a variation of it - is now an exhibition called “Martyrs’ museum” and opened this in Berlin’s Bethanien exhibition hall. 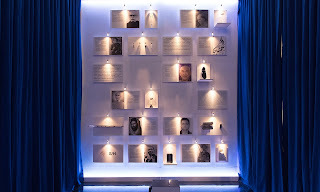 "However, alongside such prominent historical figures as the ancient Greek philosopher Socrates, the US civil rights activist Martin Luther King or even early Christian Saint Apollonia, the exhibit also features images of modern terrorists, who died while carrying out attacks that claimed the lives of thousands of people in total." The reactions to the exhibition have been very outspoken. Problem is, when you do a show about “sacrificed their lives to their cause” how can one not include "terrorists" such as Mohammed Atta, who deliberately crashed a plane into one of the twin towers of the World Trade Center in the New York City on September 11, 2001, as well as that of Ismael Omar Mustafa, who was among those shooting people at the Bataclan club in Paris in November 2015. Want to hear some irony? What if I told you Mohammed Atta got his green card six months after the attacks of September 11? Actually, contextually The Other Eye of The Tiger is right. Dead right (sorry for the pun). Their artwork does include people who really did die for their causes. Another irony? If the Nazis had won WWII, we would have had a totally different version of history, where including photos of such and such politician from the Allied Countries as someone who "died for their cause" would have been blasphemy. Well, perhaps we can just label everything under the "I was just following orders" as Adolf Eichmann put it in his now infamous statement at the Nuremberg trials. Oh and if the installation of The Other Eye of The Tiger shocks, it's OK - that's what real art is supposed to do.